Midcentury-modern décor will never go out of style, and we're not mad about it (though it does have us a feeling a little mod). With clean lines, geometric shapes, handsome, moody colors, and earthy textures, what's not to love? While we can support a home that looks like a carbon copy of Don Draper's New York City apartment from the Mad Men set, we admit that we prefer spaces that mix midcentury-modern pieces with contemporary, sleek, and elegant designs as well to tone down the nostalgia. With this in mind, we decided to look through our favorite online shops for a mixture of authentic 20th-century vintage items as well as contemporary interpretations of the style. 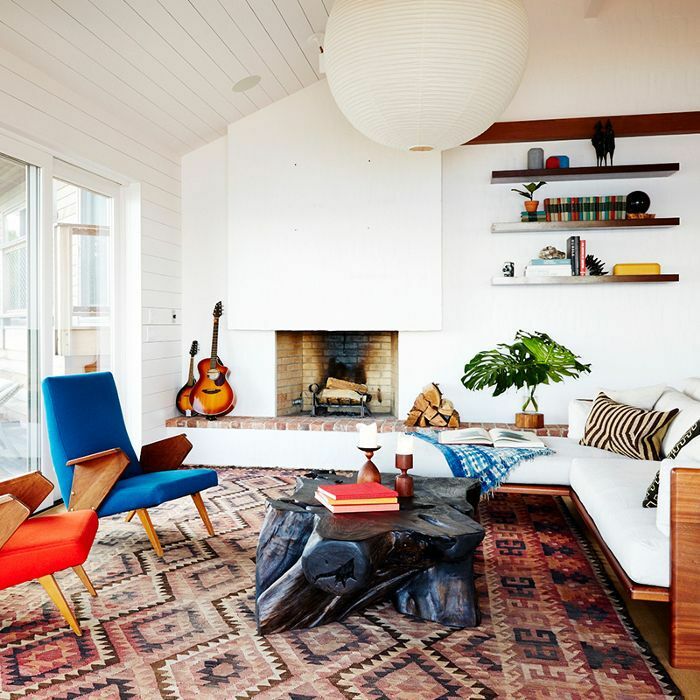 To strike the balance between retro and cutting-edge in your home, scroll through our 15 favorite midcentury-modern décor pieces below. These Cantilever chairs stopped us in our tracks when we first laid eyes on them. 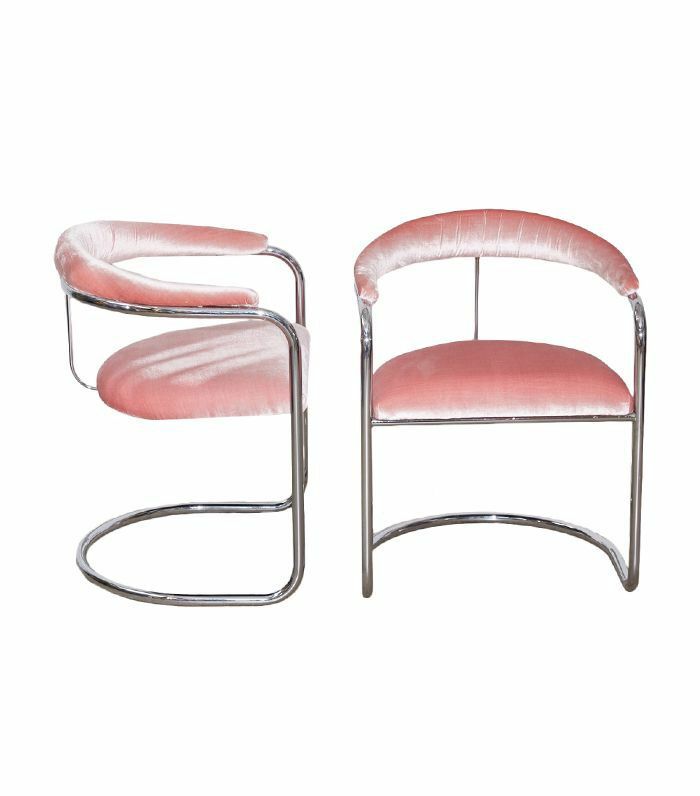 Designed by Anton Lorenz for Thonet in 1960 with a shiny chrome frame and coral-pink velvet upholstery, we suddenly can't imagine a dining room that doesn't revolve around them. AYTM offers a new perspective on Danish design. With rich oxblood hues and a dramatic marble texture, we love the contrast between high-drama materials and a minimalistic face. 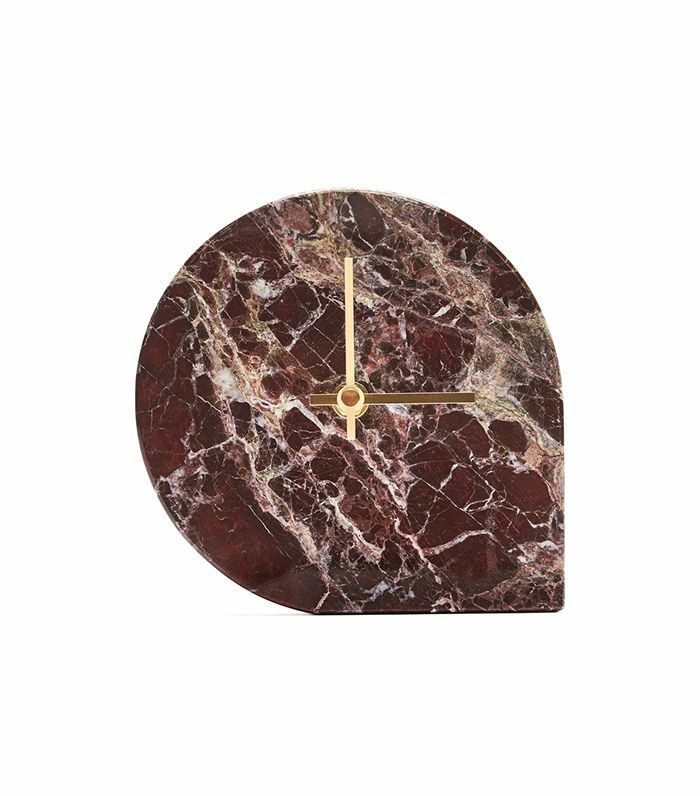 Place this clock on a console table in the entryway or in your home study. No midcentury-modern design lover can feel completely at home until they have a brutalist sculpture hanging on the wall. This mixed-media metal piece will bring in texture and depth. Hang it above a sofa or in a lackluster hallway. 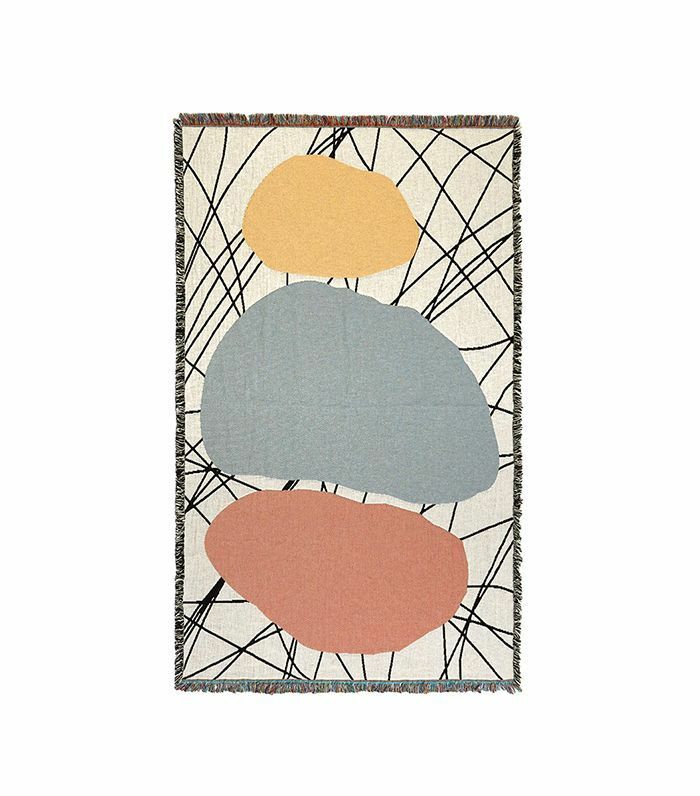 This cozy woven blanket features psychedelic shapes and multicolored fringe detailing, yet the pastel hues and high-quality cotton give a decidedly present feel. It will add character to any family room sofa or bedding arrangement. Both unassuming and bold, this metallic bookshelf offers up a ton of storage space for any bookworms or magazine collectors. 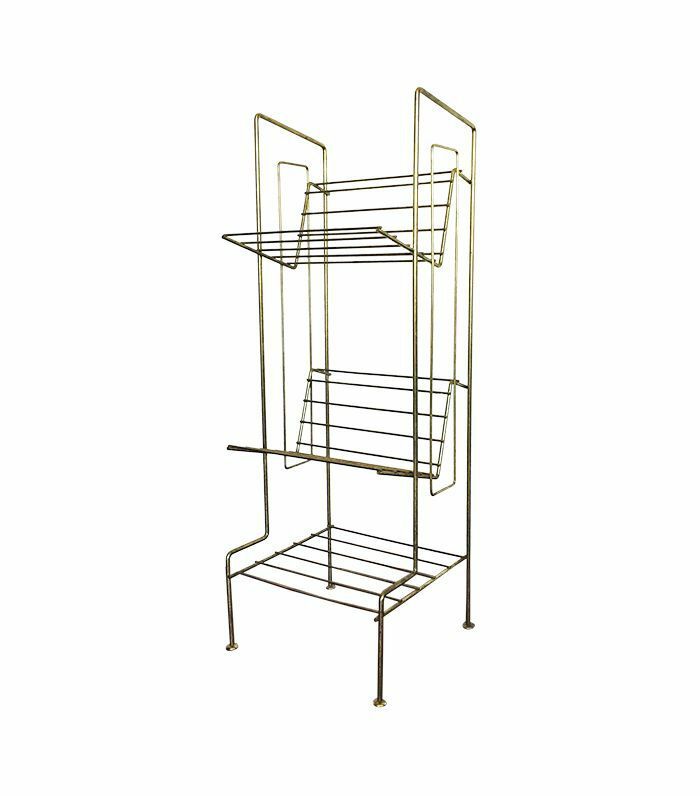 Since it's just a simple brass structure, it'll look great in just about any environment. 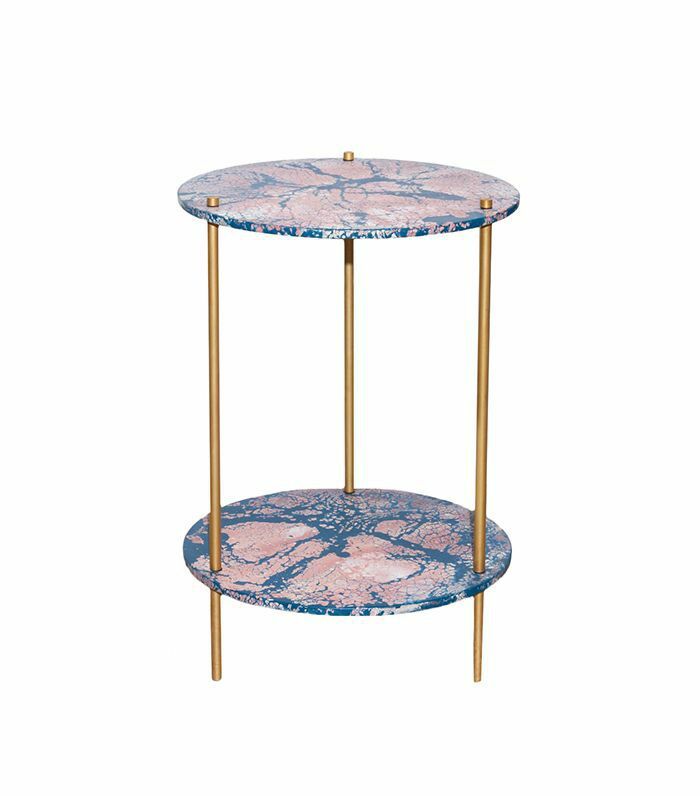 This chic marble occasional table will bring a feminine twist to a midcentury-style home without veering too far from the style of sleek silhouettes and clean lines. The bottom shelf also offers up a nice canvas to display your favorite décor pieces or books. Nothing makes us want to say cheers like a retro tiki-inspired tumbler. 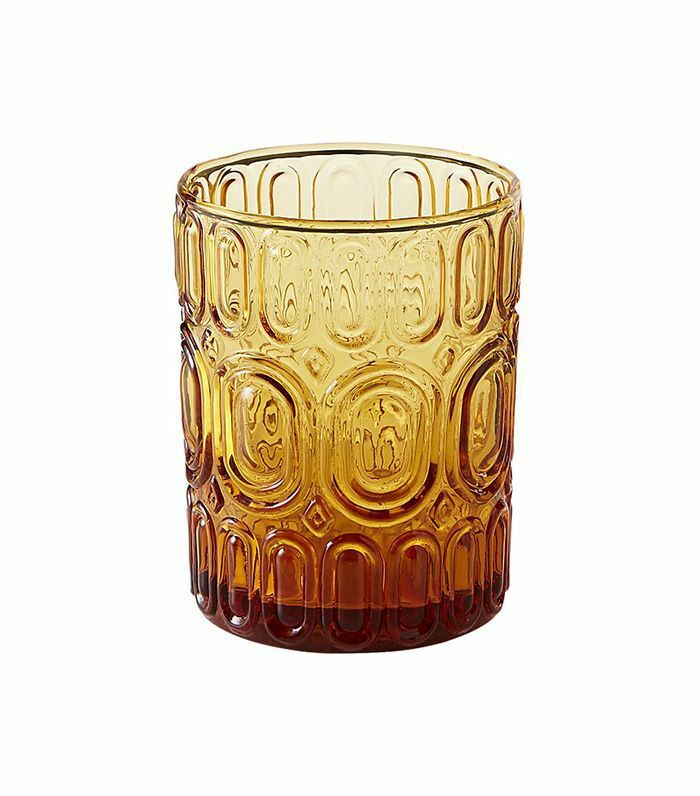 With a beautiful smoky amber hue and an etched pattern of yesteryear, this glass would be the perfect addition to your barware collection. Inspired by postwar studio pottery as well as the art and design of the midcentury era, this beautiful ceramic vase marries a playful, youthful spirit with tradition and craft. 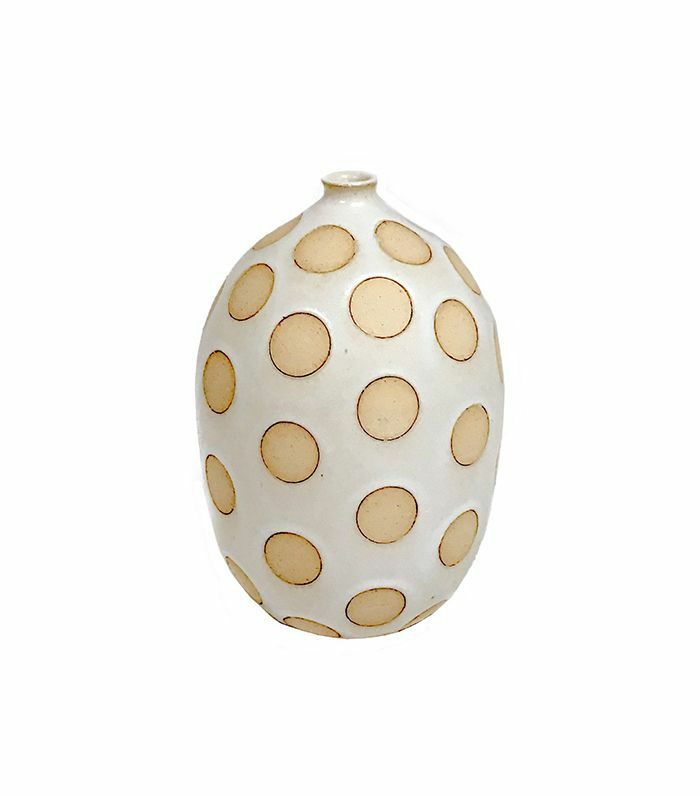 We love the pale yellow polka dots and organic round shape. This dining table will bring some edge to your everyday life. 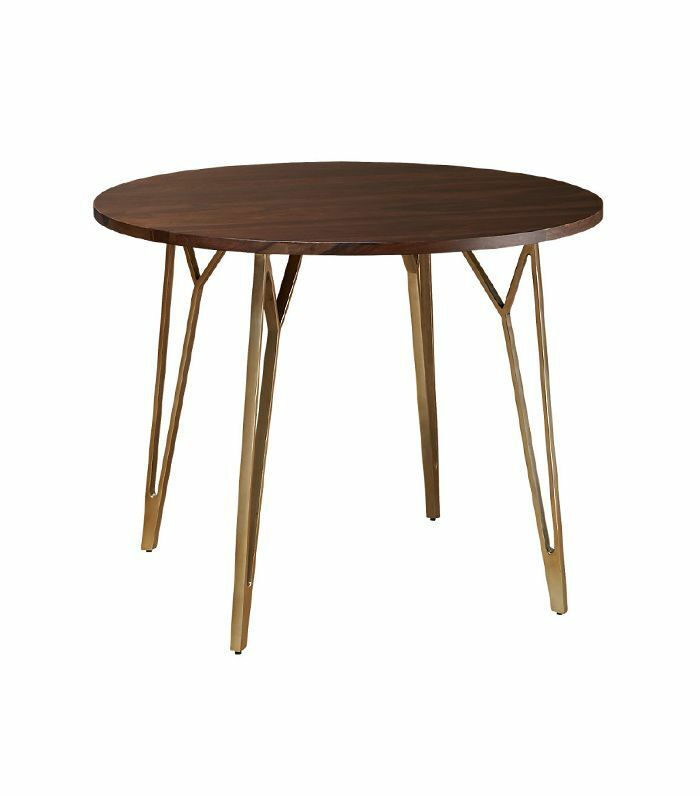 Taking cues from midcentury design, brass legs and a dark wooden tabletop create a striking piece. You can make it more glamorous or casual depending on the chairs you surround it with, making it extremely versatile and long-lasting. 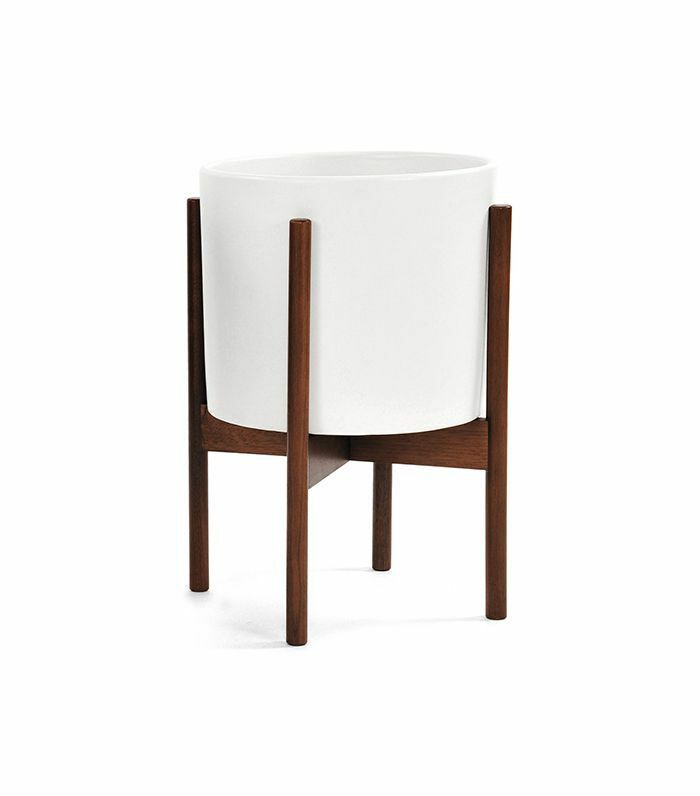 Its modest size also makes it perfect for small spaces. Hello, ottoman of our dreams. 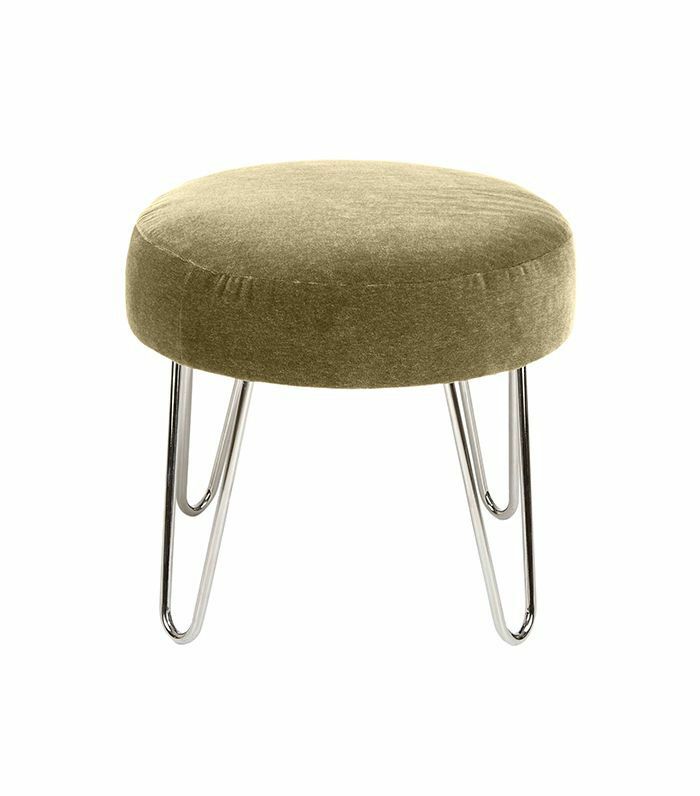 ABC Carpet & Home's Rizzo ottoman gives a more refined finish to the midcentury-modern aesthetic, thanks to the mohair green velvet upholstery and chrome legs. The retailer also offers customization so you can curate the furniture to your color scheme at home. 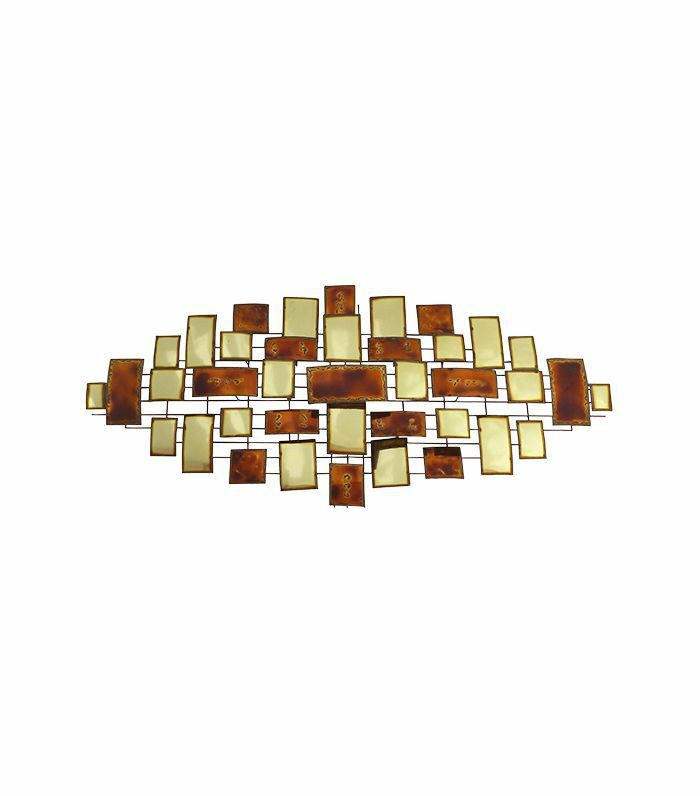 Lean back and relax in this modern rendition of classic midcentury style. 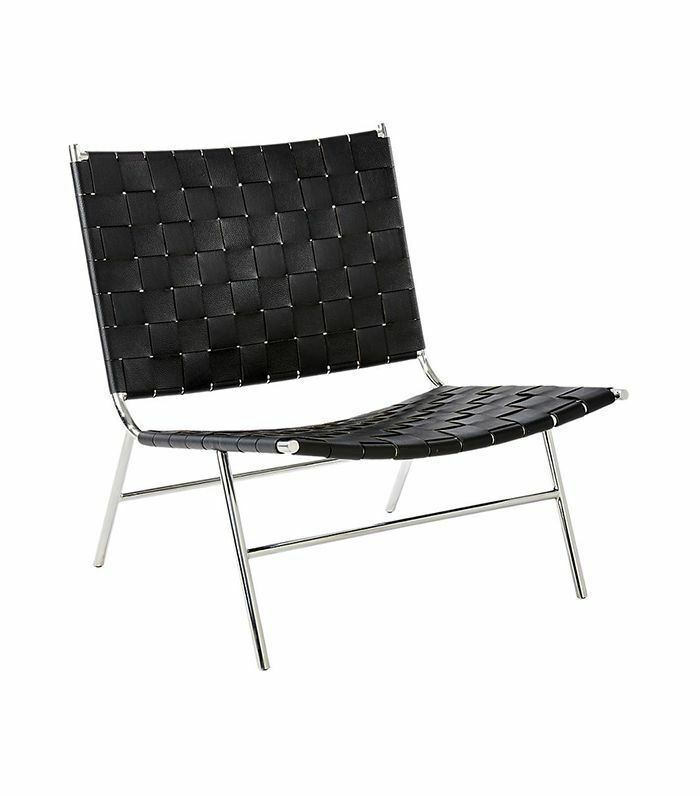 With rich woven black leather, it will enhance any living room, regardless of style. 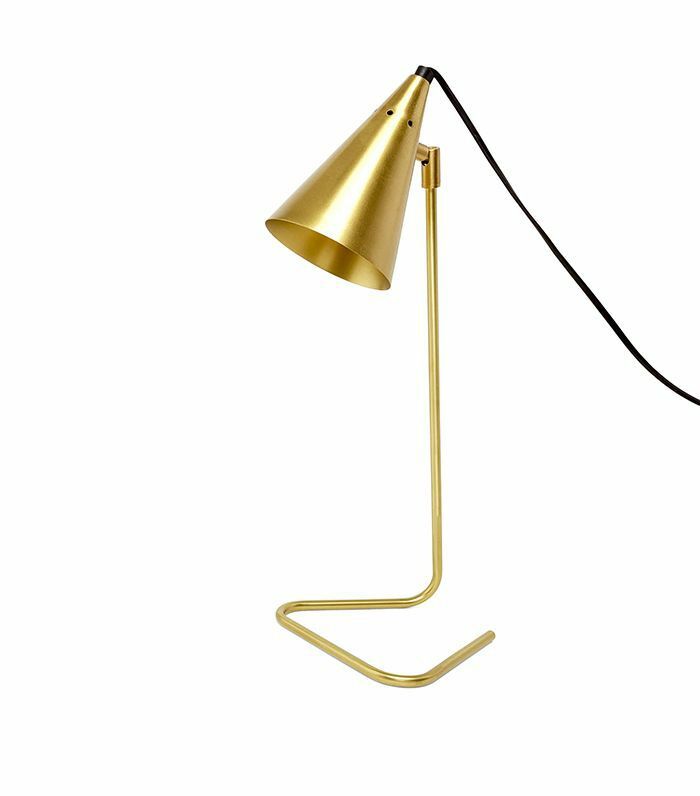 With perfect proportions and shape, this brass lamp will make for a sleek nightlight. The unassuming, minimalistic design retains a classic midcentury aesthetic; you're sure to have plenty of lightbulb moments with this piece by your side. 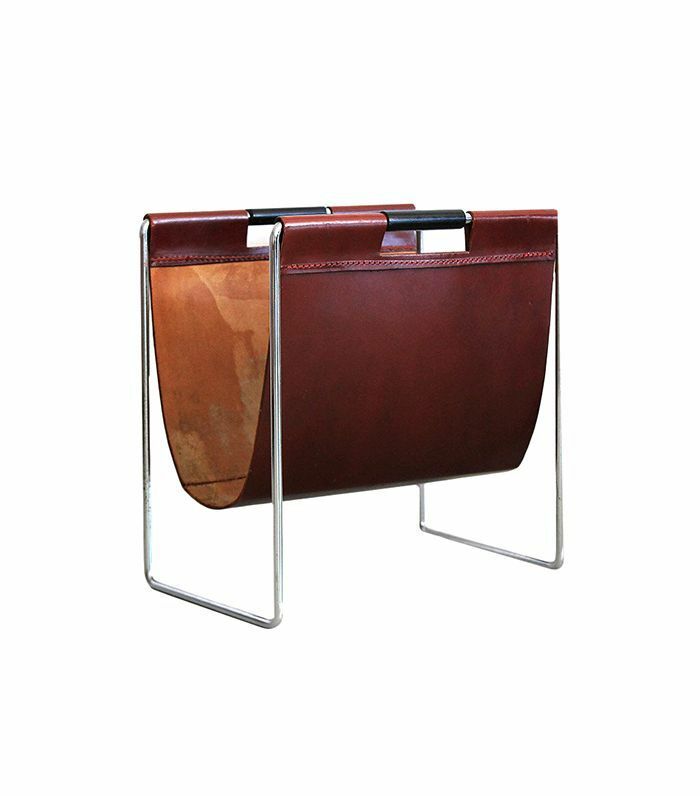 With a perfectly aged deep French red leather sling and chrome frame, this piece is elegant in design, yet it also serves as a functional accent piece that will outlast the test of time. 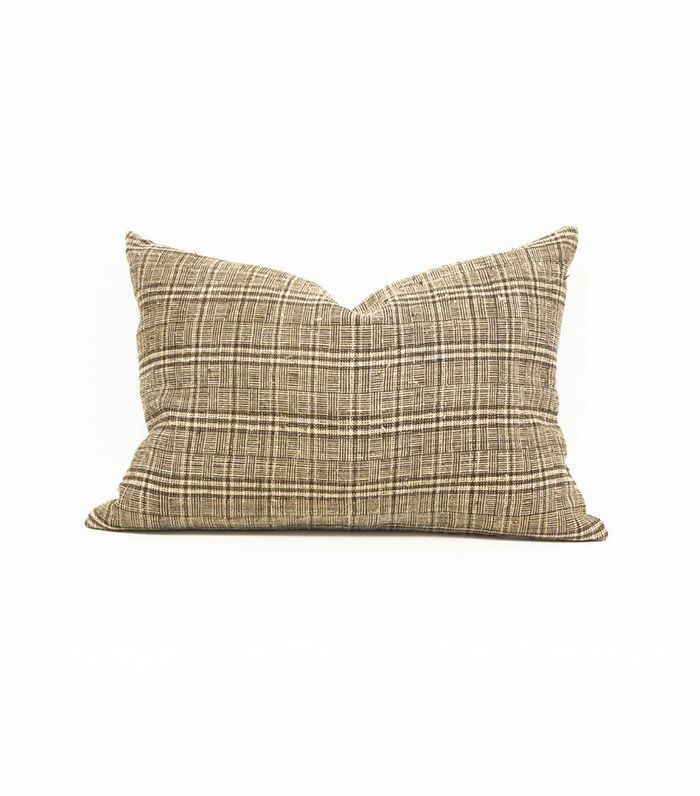 For a dash of that handsome 20th-century style, add this flax-hued plaid throw pillow to your collection on the living room sofa or bed. Brighten it up with some vivid colors and plush textures like crushed velvet, or let it stand alone. What's your favorite element of midcentury-modern style? Share with us below.